Born 1934. Trained at the West of England College of Art Bristol NDD Furniture Design 1953- 57 National Service Commission 1958..Since redundancy in 1986, he has been able to indulge his mind in the delights, frustrations and successes of this most difficult medium. He specialises in painting plein air, though larger works are produced in the studio. Subjects that interest him are complicated workshop interiors, Architectural interiors, old boatyards and generally challenging subjects. 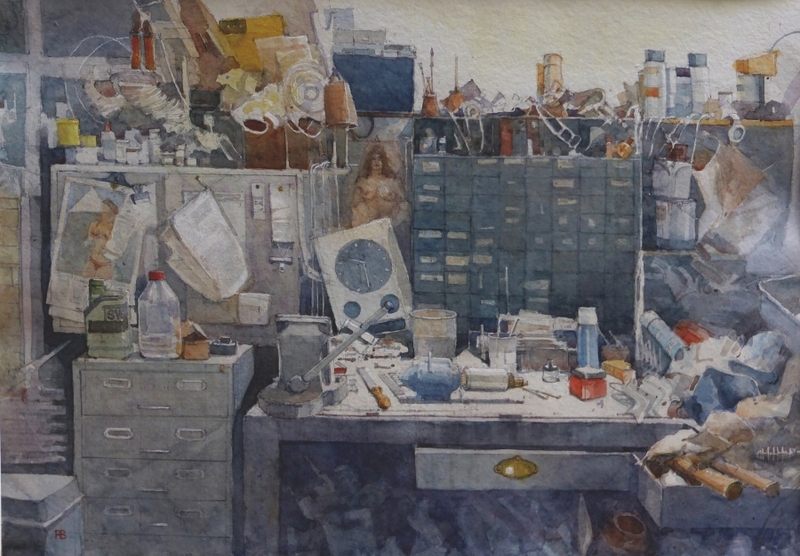 He paints in all weathers and in all climates trying to capture the subtlety of light through the seasons; both challenging, emotional and rewarding. 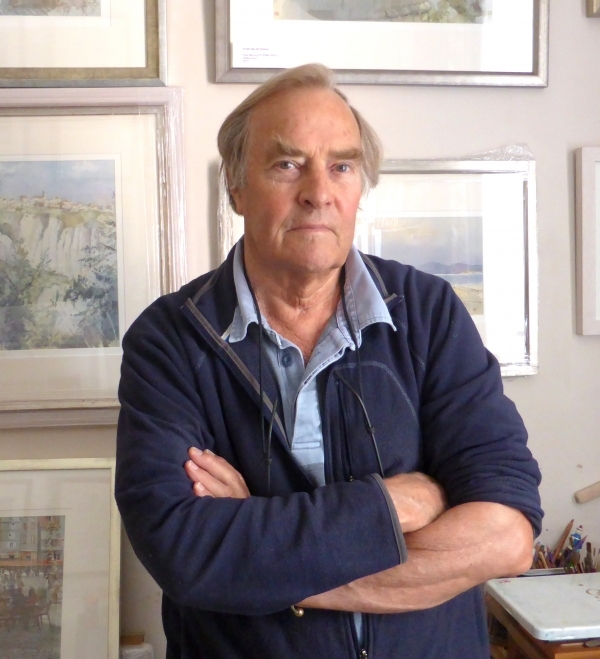 He has set out to explore the full use of the medium, the use of colour mixing, layering and glazing in many layers..
Over 40 Gallery exhibitions, in the UK,. France, Holland, India,Dubai, USA, and Trinidad.